Today we remember the 72 people who lost their lives in the Grenfell Tower a year ago today by observing a 72 second silence at 12pm. Members of the team will also be attending the Silent Walk meeting at the base of the tower at 5pm and wearing green as part of Green 4 Grenfell. 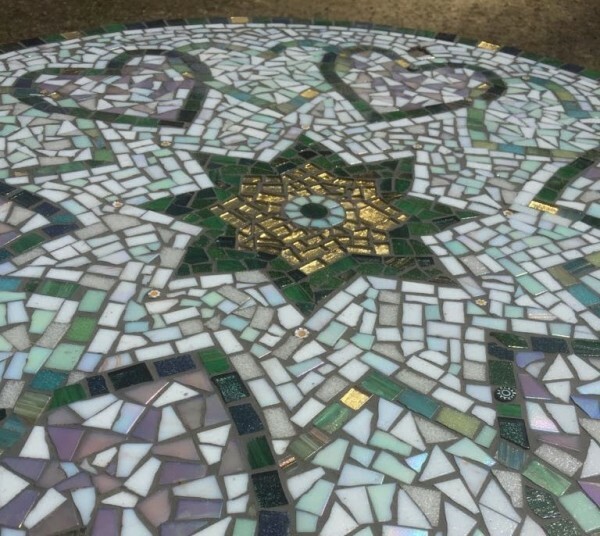 The central piece of the Grenfell Memorial Mosaic community project will be on 14 June as part of the ceremony taking place at the base of the tower. The project is being delivered in partnership with Al Manaar, and the central piece pictured above is the first part of a yearlong project. 12 different community groups from North Kensington will create 12 petals, each petal being added on the 14th of the month to eventually form a complete flower. This is just one example of the response our community in West London has made following the fire. Their resolve to support one another emotionally and practically has been inspiring and we’d like to take this moment to celebrate it. 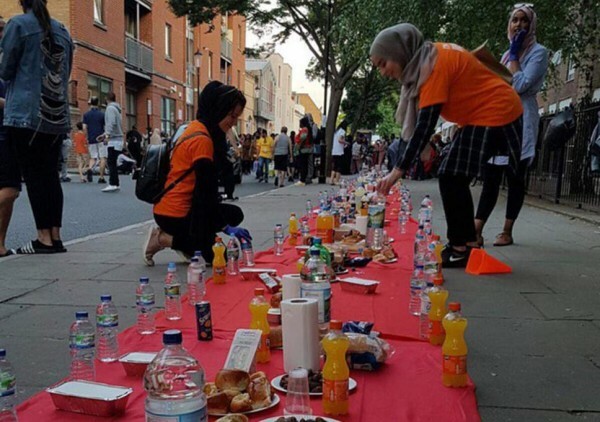 In the immediate days following the fire, the community united to support the survivors and displaced residents, by opening up community spaces for people to sleep, donating food, water, clothes, and put on the Iftar dinner in the street for all members of the community to come together and share a meal. On the 14th of every month there is a vigil and silent walk in the area, to ensure the tragedy is not forgotten. Justice4Grenfell, as well as other organisations and individuals, have campaigned tirelessly over the past year to ensure a fair and thorough Public Inquiry with a wide range of terms of reference that reflect the concerns of the community and take into account social factors. 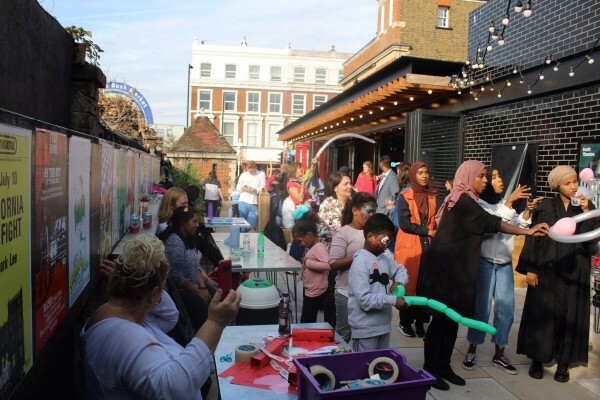 Art has been a key way of expressing feelings of the community, through art memorials in the public places like The Wall of Truth and arts projects such as Kamitan Arts’ Poetry4Grenfell and S.P.ID. Theatre’s The Burning Tower. Khidr Collective published a mural for Grenfell by a local artist from Ladbroke Grove in their zine. 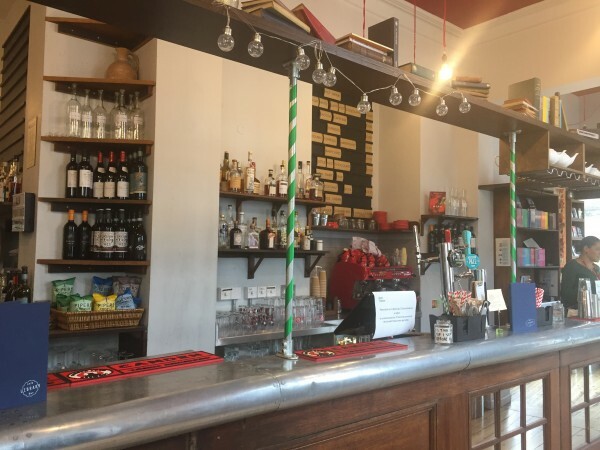 A group of artists was convened at the Bush Theatre by comedian Mark Thomas (meeting every Sunday from 11-1pm) to respond to the Grenfell atrocity. They include Grenfell Hope Project, Arts Emergency, Comedy Club 4 Kids, Justice and Healing for Grenfell, Action Aid, Kids on the Green, Grief Encounter, Writers for Grenfell and independent artists, youth facilitators, teachers and therapists. Together they worked to provide stability and activities for the children who survived Grenfell in the summer holidays in 2017. There is a beautiful garden memorial for photographer Khadija Saye on Hoxton Street created by PEER art space—in association with North and South Arden Estate tenants—outside the gallery. She worked at PEER as a Creative Access intern. A memorial fund in her name has been set up to support young artists reach their potential. The Anti Tribalism Movement hosted at Community Day at the Bush Theatre in September 2017 with comedy, dance, face painting, a DJ, performances and workshops. Kamitan Arts (a Ladbroke Grove based Non-Profit Artistic Community Company) has been volunteering since just after the fire offering Rap-Poetry workshops to those directly and indirectly affected by the fire, to help them express themselves, address their emotions and pains as well as begin to heal. You can hear these voices at the Bush on 14 July: Poetry 4 Grenfell. There have been a number of community led initiatives to tell the true story of the events from local people’s perspectives. 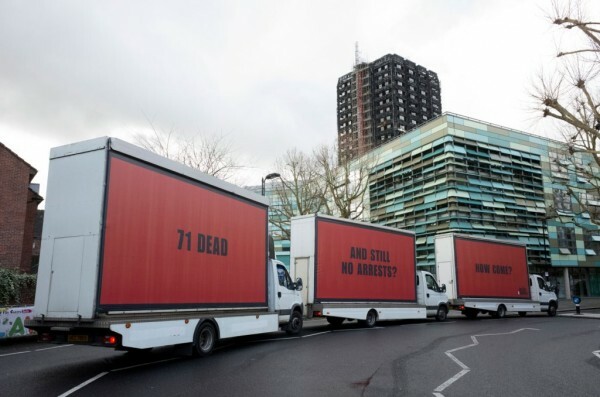 These include the Poetry4Grenfell film ‘Poetry4Grenfell – Voices from da Grove and Latimer’ and the Grenfell Speaks’ film ‘On the Ground at Grenfell’.